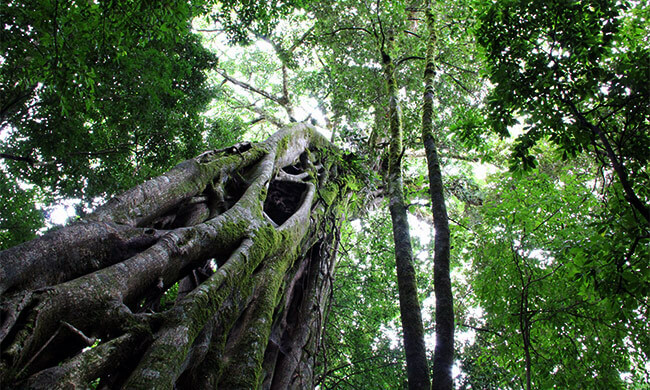 The Children’s Eternal Rainforest (BEN for its name in Spanish) is the largest private reserve in the country with over 22,000 hectares of protected tropical forest in the northeast of Costa Rica. This reserve extends from Monteverde to Arenal and San Ramon and exists thanks to contributions from people from all over the world. The fundraising campaigning started in 1987 with contributions from children from Sweden and USA. As of today, 44 countries have helped to preserve a uniquely diverse ecosystem of flora and fauna while enriching a community of people. This is a great half-day tour for anyone who is interested in learning more about Costa Rican protected forests as well as enjoying an active hike! Your tour starts when you are picked up from your hotel and driven to the Children’s Eternal Rainforest entrance. Your bilingual guide will take you on walk through the forest where you may observe some mammals like the coatis, white-faced monkeys, agoutis, and porcupines. Over 150 species of birds may be seen such as the keel billed toucans, blue-crowned motmots, long-tailed manakins, squirrel cuckoos, and emerald toucanets. Age limitations: No age limit but must be able to walk moderately for 1.5 hours through the forest. Tour includes: Transportation, entrance fee, guide. What to bring: Comfortable walking shoes, long pants, t-shirt, camera, insect repellent, light sweater or jacket, wind breaker or raincoat, binoculars.